Ainsley Rossiter is the namesake behind Ainsley's Angels of America. 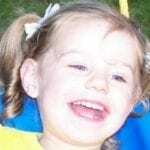 Click HERE to read all about Ainsley. 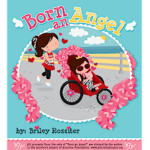 Ainsley's Angels of America is proud to present "Born An Angel", a children's book written by Ainsley's then 11 year-old sister, Briley. Click HERE to read all about it and purchase the book. Questions about Ainsley's Angels of America? You came to the right place. Click HERE to see our FAQs. Ainsley's Angels of America has two certified RockTape professionals. Click HERE to learn about the benefits for both riders and runners from RockTape. Interested in learning more about how Ainsley's Angels educates the world about inclusion? Click HERE to read our Educate blog.